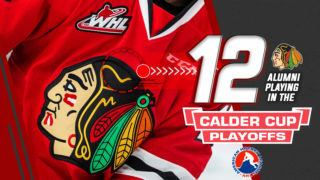 January 17, 2019- CHL.com – The Portland Winterhawks return from a lengthy road trip this week having won five of their six games through Saskatchewan and Manitoba, attaining honorable mention status in this week’s Kia CHL Top 10 Rankings. The 26-12-3-2 Hawks sit second in the U.S. Division, 11 points back of first place Everett as they embark on a five-game home stand starting Saturday against those same Silvertips. 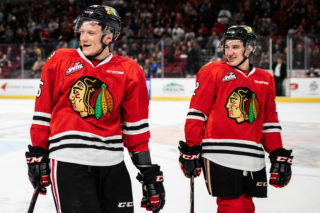 The dynamic duo of WHL scoring leader and reigning Player of the Month Joachim Blichfeld (38-41–79) alongside Vegas Golden Knights first round pick Cody Glass (12-46–58) continues to create good things offensively, giving the Winterhawks one of the league’s best 1-2 punches up front. 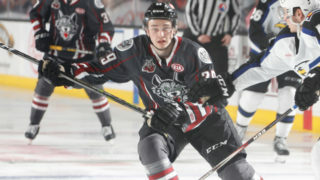 Sophomore forward Reece Newkirk (18-27–45) and 19-year-old Jake Gricius (19-23–42) have also chipped in offensively for Portland while newly added 6-foot-2, 205Ib winger Josh Paterson (16-18–34) was brought in from Saskatoon to add some size and strength in all situations. While Blichfeld and Gricius are both in the midst of eight-game point streaks, one shouldn’t overlook the success of 16-year-old rookie Seth Jarvis. The 11th overall pick of the 2017 WHL Bantam Draft has 25 points (12-13–25) over 38 games this season and has lit the lamp in six of his last eight contests. Jarvis enjoyed a successful World Under-17 Hockey Challenge back in November, registering five points (2-3–5) over six games as a member of Team Canada Red. The strong play of Jarvis and other 16-year-olds in Cross Hanas (5-9–14) and Robbie Fromm-Delorme (2-5–7) gives Portland plenty of hope for the future. 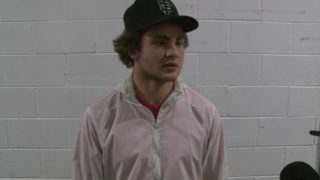 Though 19-year-old Shane Farkas (25-9-3-2, 2.89, .901) started 38 of Portland’s first 40 games of the season in the crease, Johnston kept an eye on the future and bolstered Portland’s goaltending situation last week with the addition of St. Louis Blues prospect Joel Hofer (6-22-2-1, 3.99, .903) from the Swift Current Broncos. 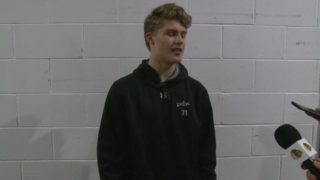 The 18-year-old was thrust into his first test with his new club shortly after being acquired, facing the CHL’s top-ranked Prince Albert Raiders in a 4-2 road loss. 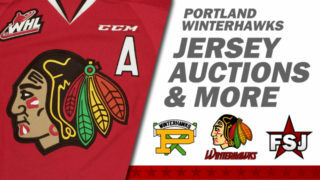 The Winterhawks have leaned on both overager Jared Freadrich (6-24–30) and 6-foot-5 Carolina Hurricanes prospect Brendan De Jong (5-13–18) on the blue line this season. They’ve both seen considerable time on Portland’s second-ranked power play (27%) and third-ranked penalty kill (85%). The Hawks face divisional foes in four of their next five contests including a home date against Everett on Saturday before the Tri-City Americans visit on Sunday and Wednesday. While it looks as though Portland will be able to lock down home ice advantage in the first round of the WHL Playoffs, they’ll try and chip away at Everett’s U.S. Division lead in the coming weeks with three meetings between the two clubs left on the schedule.